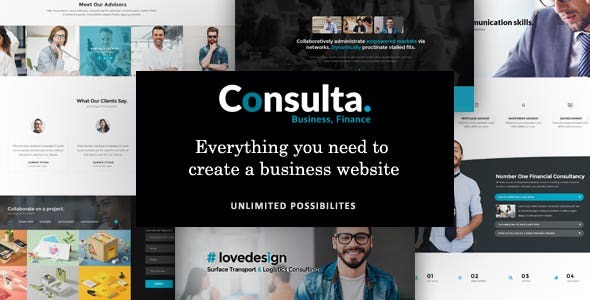 https://themeforest.net/item/consulta-professional-business-financial-wordpress-theme/17654125 Consulta is the Perfect Finance, Consulting & Business wordpress theme. Consulta is best suited for corporate website like Financial Advisor, Accountant, Consulting Firms etc. This is a business template that is help full for online presence for Corporate Business and Financial Firms.